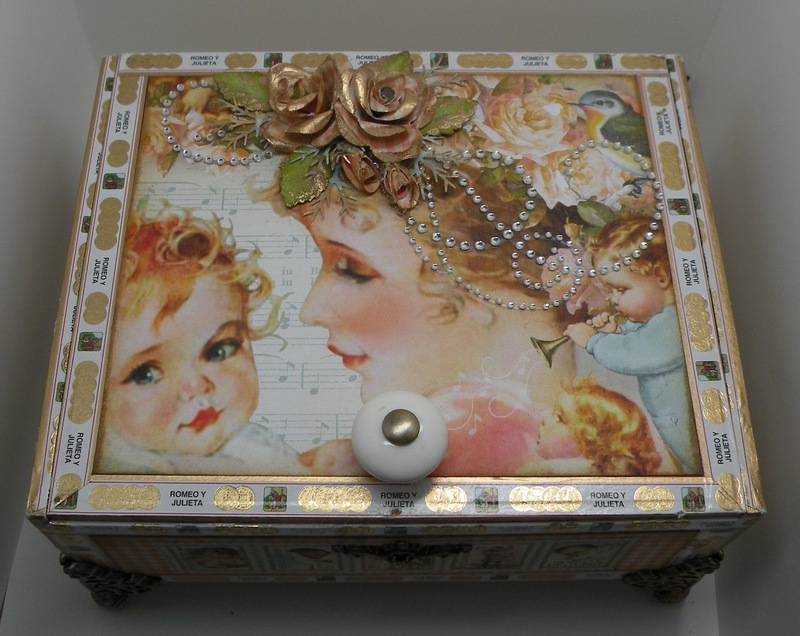 I really didn't care for the way my top came out on the baby's cigar box so I have redone it. I made the flowers and then rubbed versa mark on the petals, sprinkled a little gold embossing powder on it and heat set it. I think I like this better. But now it doesn't want to photo to well. The gold is causing me problems with reflecting the light but you get the idea. It was beautiful before but those gold flowers...WOW!!!! Who would have thought a couple little flowers could make such a difference!!! This polished up so beautifully! Great work!